Taiwan's history goes as far back as ten thousands of years. According to archeologists, prehistoric people were the first to have lived in Taiwan, proof of which can be found in archaeological dig and sites in Taitung and elsewhere. The indigenous people who first came to Taiwan so long ago formed the northernmost branch of the Austronesia culture group. The indigenous people who remain till today are divided into 14 tribes: the Amis, Atayal, Paiwan, Bunun, Puyuma, Rukai, Tsou, Saisiyat, Yami (or Tao), Thao, Kavalan, Truku, Sakizaya, and the Sediq. Over the years, other tribes, especially flatland groups, have increasingly came in contact with the Han Chinese, their daily lives become more and more integrated, and by now most have assimilated with the Chinese. The other tribes, however, have also managed to preserve some of their traditional customs, tribal structures and architecture, and continue to keep the tribal spirit alive through the practice of traditional worship. In 1544, the Portuguese passed by the island with rocky coasts, lush plains and rugged mountains, they called Taiwan "Ilha Formosa", meaning "beautiful island". Before long, the Europeans took notice and the Dutch soon set up a trading spot at Penghu Islands. In 1626, the Spanish invaded what is now Keelung and established their territory all the way down the west coast to Tamsui and eventually all over northern Taiwan. Later, the Spanish was threatened by typhoons, several catastrophes and attacks from the aboriginals. In 1638, the Spanish withdrew from Tamsui and the Dutch moved in to take control of Keelung in 1642. Exiled by the collapsed Ming dynasty, Cheng-Kung Cheng sent his troops on the small island of Kinmen, and was convinced to invade Taiwan and overthrow the Dutch. The Dutch surrendered to Cheng in 1662 and left for good. With the number of 30,000 mainland Chinese and the growing population for the next 200 years, the fertile plains along the western Taiwan grew fast. In 1683, the Qing dynasty took over the island. Taiwan lies on the Tropic of Cancer, and its climate is marine tropical. The northern part of the island has a rainy season that lasts from January through late March during the northeast monsoon, and experiences meiyu in May. The entire island experiences hot, humid weather from June through September. The middle and southern parts of the island do not have an extended monsoon season during the winter months. Typhoons are common between July and October. Overall, end of October is the perfect time to visit Taiwan for cool temperature and sunny sky. Deeply affected by the topography, the climate also shows evident spatial variations. Temperature decreases as altitude increases, and climate variations are more evident in winter than in summer. Affected by latitude, altitude, terrain and monsoons, Taipei’s climate is generally characterized as warm in the winter and hot in the summer. It rains throughout the four seasons and is generally warm and humid. Taipei is the capital, political, economic, and cultural center of Taiwan. Situated at the northern tip of Taiwan, Taipei is located on the Tamsui River, it is about 25 km (16 mi) southwest of Keelung, a port city on the Pacific Ocean. It lies in the Taipei Basin, an ancient lakebed bounded by the two relatively narrow valleys of the Keelung and Xindian rivers, which join to form the Tamsui River along the city's western border. The city is home to an estimated 2,618,772 people. Considered to be a global city, Taipei is part of a major industrial area. Railways, high speed rail, highways, airports, and bus lines connect Taipei with all parts of the island. The city is served by two airports - Taipei Songshan and Taiwan Taoyuan. Taipei was founded in the early 18th century and became an important center for overseas trade in the 19th century. The Qing Dynasty of China made Taipei the provincial capital of Taiwan in 1886. Japan acquired Taiwan in 1895 after the First Sino-Japanese War. Taiwan became a colony of Imperial Japan with Taipei as its capital. Taiwan's Japanese rulers embarked on an extensive program of advanced urban planning that featured extensive railroad links. A number of Taipei landmarks and cultural institutions date from this period. Taipei is known for its many night markets, the most famous is the Shilin Night Market in Shilin District. The surrounding streets by Shilin Night Market are extremely crowded during the evening, usually opening in late afternoon and running well past midnight. In most night markets, feature individual stalls sell a mixture of food, clothing, and consumer goods. Chinese cuisine can be traced back to ancient times and has achieved its present level of excellence through the accumulation of thousands of years of practical knowledge and experience in cookery. Emphasis is placed on the perfect combination of color, aroma, flavor, and appearance, through which the most common ingredients are transformed into culinary tours de force. In Taiwan, cooking techniques from all areas of China have fused; the Taiwanese have not only mastered the traditional local Chinese specialties, but have also used traditional techniques to develop new culinary treats. These features attract many tourists to Taiwan every year to savor these Chinese specialties, ranging from small steamed buns to boiled dumplings. 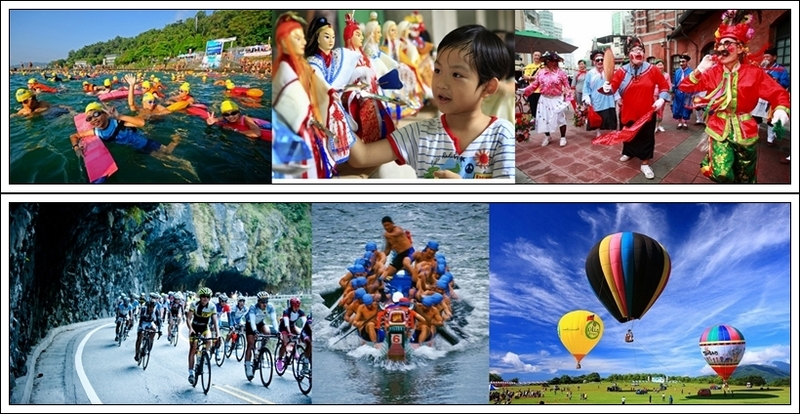 Here are some highlights that we would like you to explore during your stay in Taiwan. Taiwan is surrounded by the sea, the unique ocean currents flow made it a great environment for the breeding of marine resources. Lobster, red frog crab, swimming crab, grouper, and big eye tuna, the great variety of marine production has made Taiwan famous for seafood export. The way how we cook seafood is influenced by the cultivation of Fujian, Guangdong and Japan. The original freshness and sweetness is an experience you don’t want to miss, that is why the flavor of the seafood itself is being emphasized, rather than the seasonings. 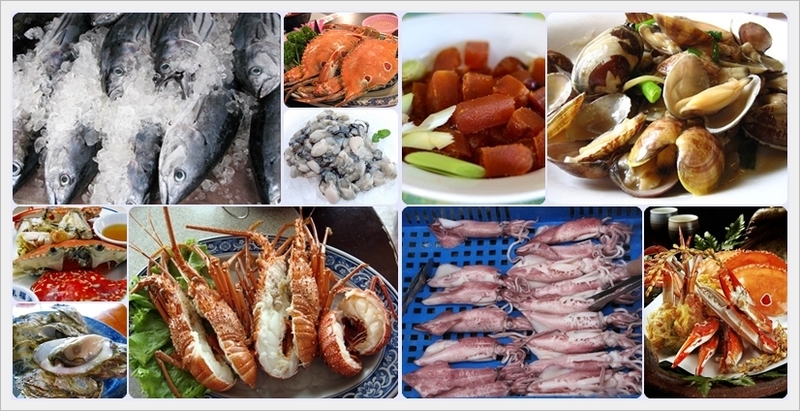 Seafood is cooked through stewed, stir-fried, steamed or boiled. It creates a simple but deep flavor which derives abundant delicacy of the ocean. Everywhere around the harbor cities would be a good choice for a local seafood feast. Here, diners can select the fish or crustacean they wish to eat, which is then cooked on-site. These fresh products, together with the house specialties of different restaurants, will satisfy even the most finicky gourmets. 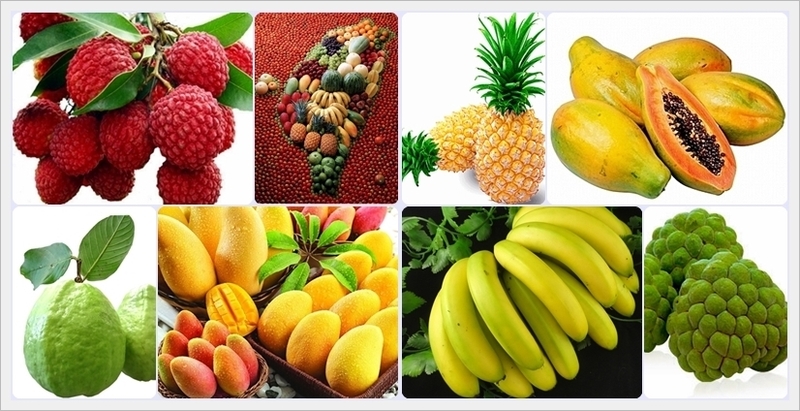 Since the colonial period of the Japanese, fruit was one of the main exports of Taiwan. The Japanese government had introduced pineapples, oranges, grapes, persimmons, pears and other fruits, more than half of the fruit grown in Taiwan was exported to Japan, and the major fruit exports are bananas, pineapples, and oranges. Due to the special location where covering subtropical zone and temperate-zone, a great varieties of fruits are bred well on this small island. With the large plains and high mountains, accompanying warm climate and abundant rainfall, give it a good quality and unique flavor for Taiwan’s fruits, and earned a reputation as “kingdom of fruits”. For foreign visitors to Taiwan, you may not have enough time to visit the traditional market for fresh fruits and cut them into pieces to enjoy the feast. However, if you ever have time for night markets, pay a small visit to the street vendors, the tasty and seasonal flavor will freshen you after a heavy dinner. Japanese restaurants are easy to find, several cuisines are popular among Taiwanese, which will be Sushi, Yakiniku, Sashimi, Ramen, and Izagaya. 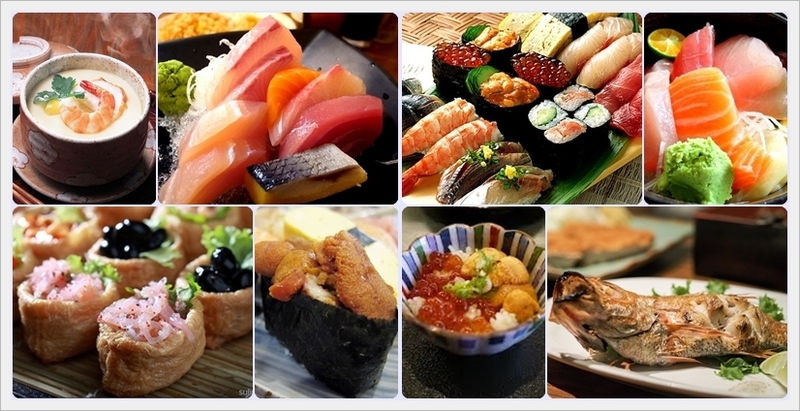 Japanese feast becomes more appealing because of the freshness of local seafood. We recommend Taiwanese beer being the best drink with your night feast. Many national festivals are held in Taipei. In recent years some festivals, such as the Double Ten Day firework show and concerts, are not only being hosted in Taipei, several cities are taking turns to celebrate these events. When New Year's Eve arrives on the solar calendar, thousands of people converge on Taipei's Xinyi District for parades, outdoor concerts by popular artists, street shows, round-the clock nightlife. The most breathtaking point is of course the countdown to midnight, when Taipei 101 assumes the role of the world's largest fireworks platform.